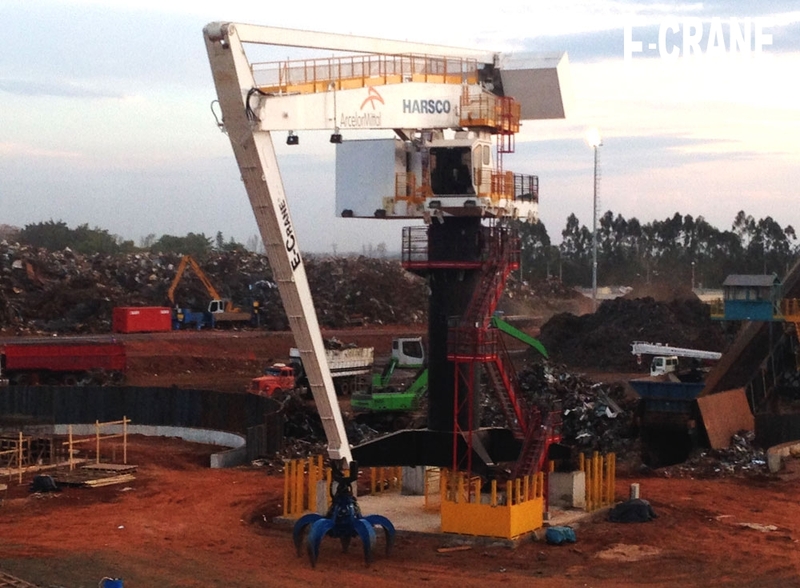 A new E-Crane was recently installed and commissioned at the Harsco scrap yard in Piracicaba, Brazil near São Paulo. 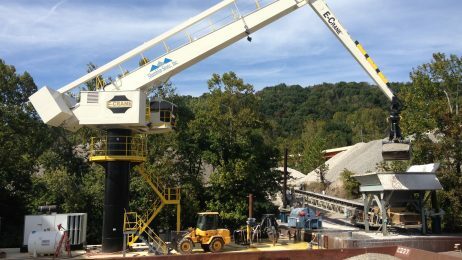 The new E-Crane is a pedestal mounted 1000 Series / Model 7317 with a maximum outreach of 31,7 meters (104 ft) and a maximum lift capacity of 13,6 Mton (15.0 USton) and will be used to handle scrap at the facility. 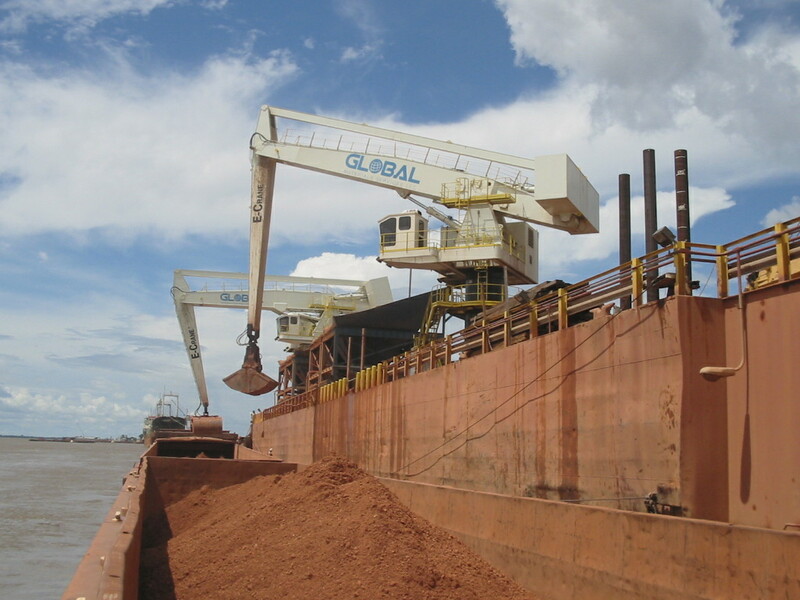 The Harsco scrap yard is a supplier to the ArcelorMittal steel mill. 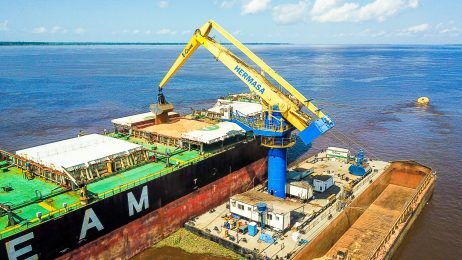 The scrap handled at the Harsco yard fills the trucks which then go to the steel mill to be processed. 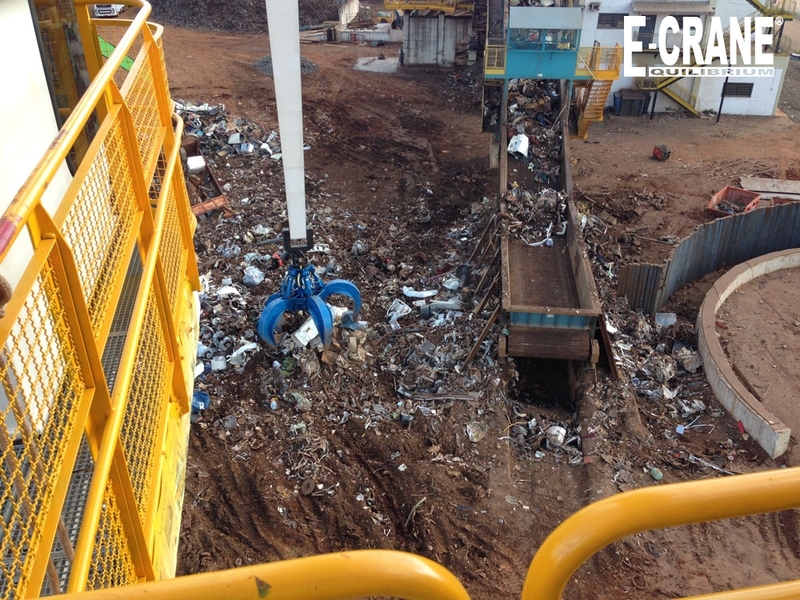 The E-Crane will be utilized at the scrap yard to feed a shredder, shear, and pre-shredder. 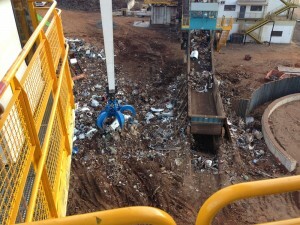 The shredder is currently installed at the scrap yard and foundation work has begun on the shear and pre-shredder. 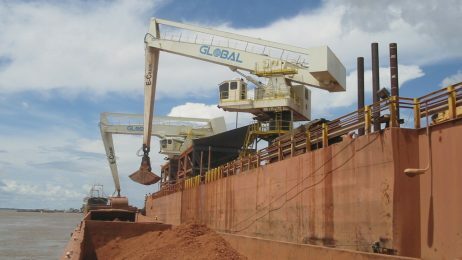 The E-Crane currently feeds the shredder, which has a target capacity of 20,000 tons per month. 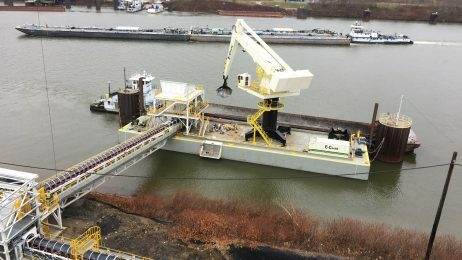 Full operation will not begin at the facility until 2014 when the pre-shredder and shear are installed and are completely operational.